Dr Paul Lam, an Australian family physician and tai chi expert has over thirty-nine years of teaching experience, and is a world leader in the field of tai chi for health improvement. Along with his authorised Master Trainers, he teaches Tai Chi for Health instructor training workshops around the world. He has published many studies and participated in several research projects relating to tai chi for health improvement. 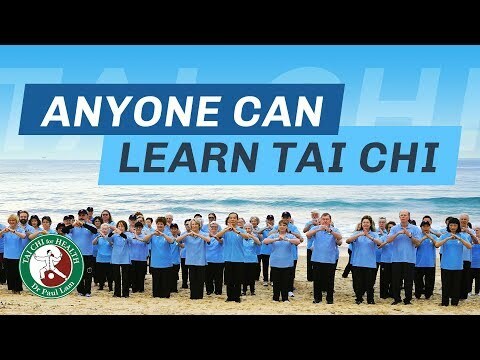 Dr Lam has composed several Tai Chi for Health programs that are supported by Foundations around the world including that of Arthritis foundations of Australia, America, Singapore and the UK. The Centers of Disease Control and Prevention (www.CDC.gov) recommend his Tai Chi for Arthritis program for fall prevention. Five million people around the world practice a Tai Chi for Health program every day. Click here for more information about Dr Lam. I am a qualified Physiotherapist who developed an interest in tai chi whilst attending an acupuncture study course in China in 1998. I began studying with Dr Lam in 2006 at his own school, Better Health Tai Chi Chuan, and now I instruct there on a weekly basis. I have incorporated tai chi into my Physiotherapy practice, which has been very well received. Lam’s Tai Chi workshops in England. She continues to instruct and to support the spread of workshops in many ways.Margaret has a history of voluntary and community work over many years, becoming a full-time occupation in 1994 when, driven by strong values around empowering people to health, wellbeing and independence, she left her career in the private legal sector. Margaret was appointed to the position of Chief Executive of Age Concern Stockport early in 1995 and has established a respected reputation for openness, integrity and positive partnership working.Margaret has shown great commitment and dedication to preventative activities both in her work and personal life, and particularly champions’ tai chi for health across the many sectors she works in partnership with. Through her work she has innovated and established groundbreaking preventative non-clinical programmes earning national recognition. Carolyn first began practicing Tai Chi in 2004 and first learned of Dr. Paul Lam’s Tai Chi for Health programs from his videos. Once she attended her first week-long workshop in 2008, she knew she had found her Tai Chi family. She teaches TCA in workplace wellness programs, and is interested in the ways that Tai Chi for Health programs can help people achieve more balanced and healthy lives, even in stressful work environments. She serves on the Board of the U.S. Tai Chi for Health Community. Carolyn has been a Law Professor, teaching Business Law, Ethics, and International Law for more than twenty-five years. She is currently the Dean of the Faculty at Babson College, a business school known for its entrepreneurship programs and its educational innovation.